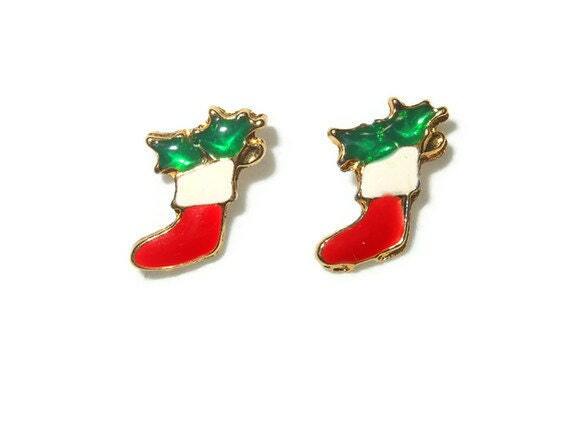 Christmas stocking earrings, small enamel Christmas stocking studs. 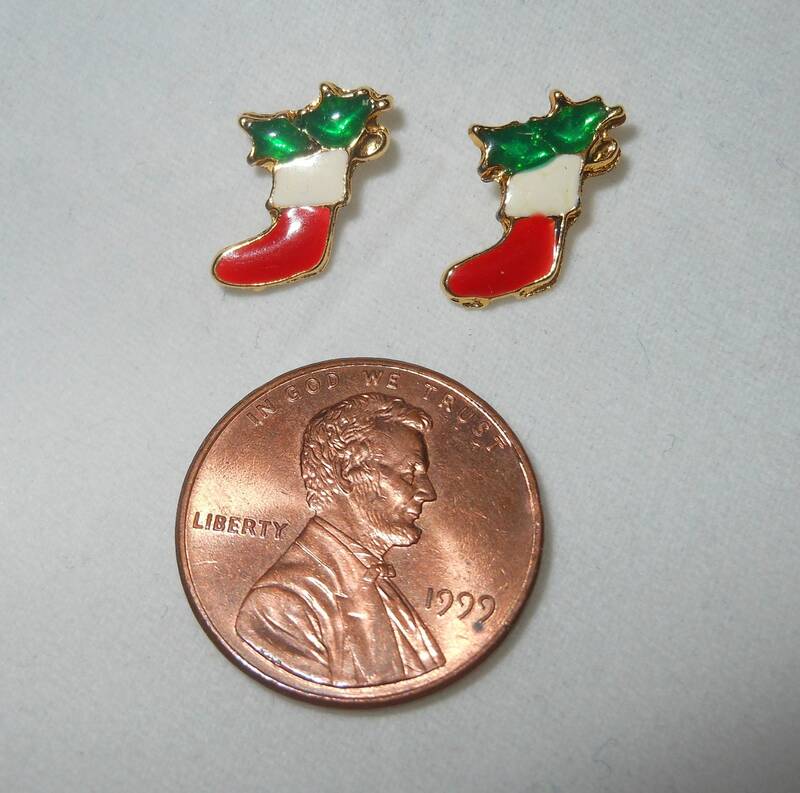 Teeny tiny little treasures as cute as can be. 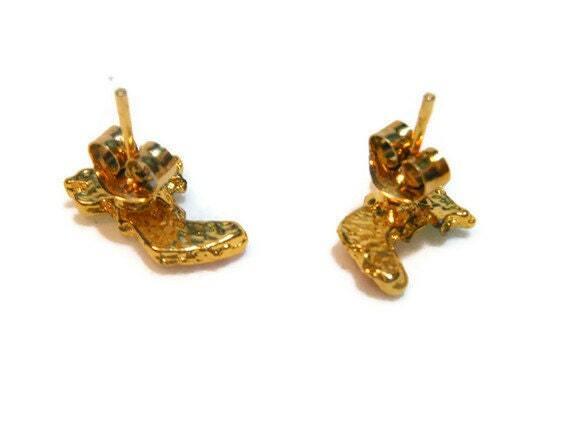 They measure 3/8" (1.5 cm) x 1/4" (1 cm) and are in very good condition.